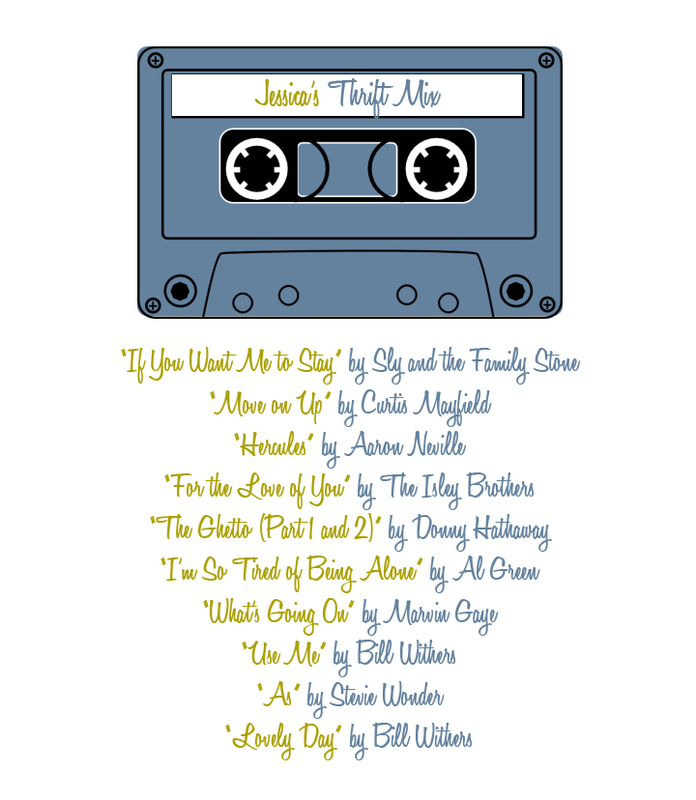 I'm so excited to have Jessica from Krrb sharing her thrift mix with us today! For those of you who don't know, Krrb is an amazing tool for people wanting to get involved in "neighborly living." No matter what city you're in, you can sign up for an account and see who in your city has something they're looking to trade or sell, kind of like a virtual flea market or swap meet. They also have a nifty iPhone app so you can browse local listings on the go and, perhaps the most ingenious idea of all, a "Krrb It" button you can use to transfer your listings on Etsy, eBay and Craigslist over to your Krrb account. Now, before you go running your buns over there to set up camp, take some time to get to know one of the company's leading ladies. 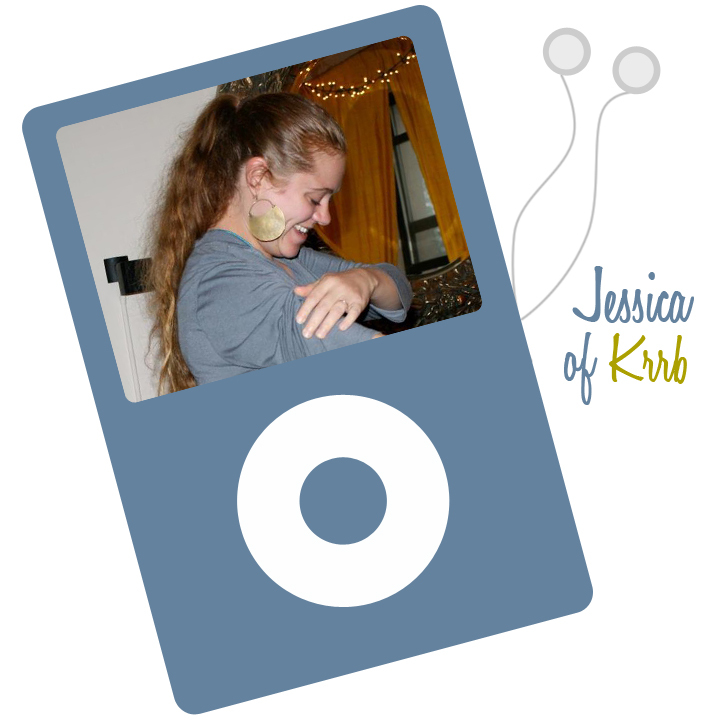 Jessica is the Krrb community manager, as well as the managing editor of the blog. But, perhaps more importantly, she's a fun person who is about to have her first baby in December (yay!). I've really enjoyed getting to know her over the past couple months, and I'm really digging her thrift mix. "I kicked off the playlist with Sly and The Family Stone's 'If You Want Me to Stay' because that has always been my last-to-leave-the-house song. I dare you to try walking down the street listening to it and not to bounce. With that track setting the tone, I went full vintage with classic artists like Marvin, Stevie, Curtis and Al because although they can be super depressing, they can also be inspiring. I want to be inspired when I'm thrifting because I'm generally looking for materials to turn something into something else. I see Van also included 'As' in her awesome playlist, but I had to get it in there because it was what my husband and I walked down the aisle to. It makes me happy! Hope you enjoy!" Good taste including "As," and well...everything else!